Chloe Black Diamonds Floor Standing Mirror. 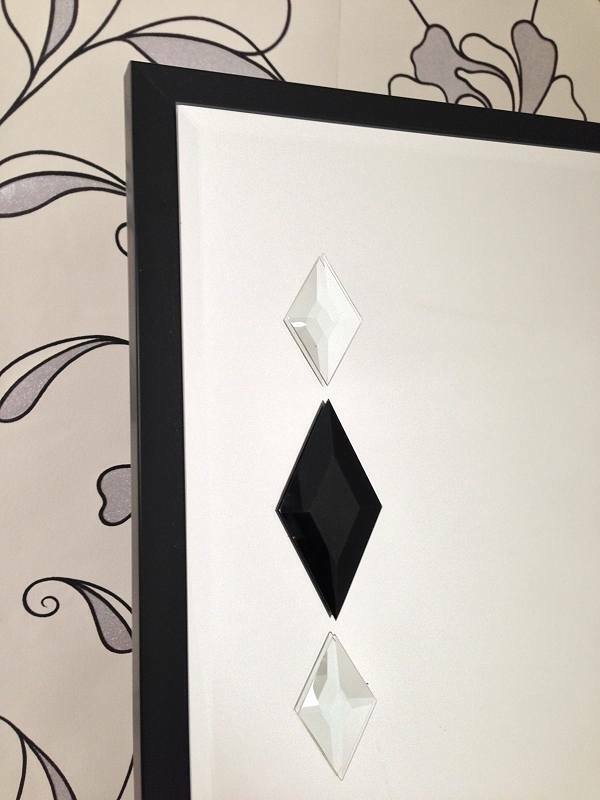 A quality bevelled edge mirror mounted on to a satin black backing frame with black and clear diamond shaped bevel glass designs. A contemporary floor standing mirror that would look stunning in any room, made in our own workshop and available with various designs glass bevel designs or even without for a plainer look.